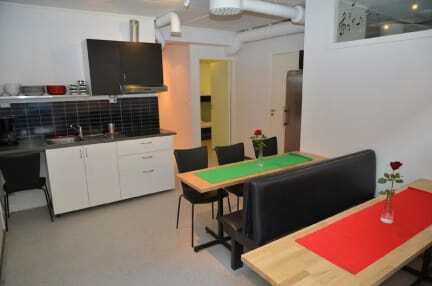 Our stay at Bergen Budget Hostel was really pleasant. It is very unusual that there was no staff present, nor a reception, but it was for our comfort, because we got in an email everything we needed to know right before checkin. The kitchen and bathrooms are well set and there is also a little chill zone where you can sit comfortably. Our two-storey bed was funny, because it was made from two casual beds just put together and thus, it made noises with every move. We enjoyed the stay, though. The heating is horrible but that was really the only downside. And honestly we all became friends while huddling over the stove for heat. It’s an unmanned hostel, there is no staff here. So everyone kind of makes are that the place stays clean. It’s right downtown and it’s incredibly cheap, I really don’t think you will find a better deal anywhere. It’s a really expensive city, you better punch those penny’s where you can. Ot was difficult to find the location, but it was perfect for the trip! This hostel was fine in that it was a bed and centrally located. It's certainly not a sociable place. The common area is quite tight with just a kitchenette that guests would have to take turns cooking in. Generally everybody was respectful of each other's space and time in the kitchen though. Bathrooms were very clean and beds were comfortable. No direct complaints however. Really not more than a place to stay a night- but for that ok. Walls are quite thin and noise from the kitchen a little annoying, hanging out area very small and beds quite close to each other. 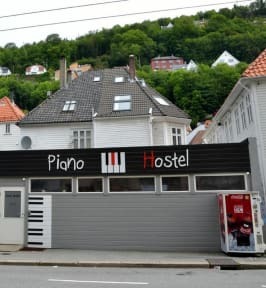 But still the cheapest option to spend the night in Bergen - you just have to know what to expect. To noisy with youngsters that do not respect the silence time. Total unpoliteness of the other clients.